Masterbuilt Premium Phosphor Bronze Strings are top-quality acoustic guitar strings designed specifically for Gibson Montana's flat top guitars. 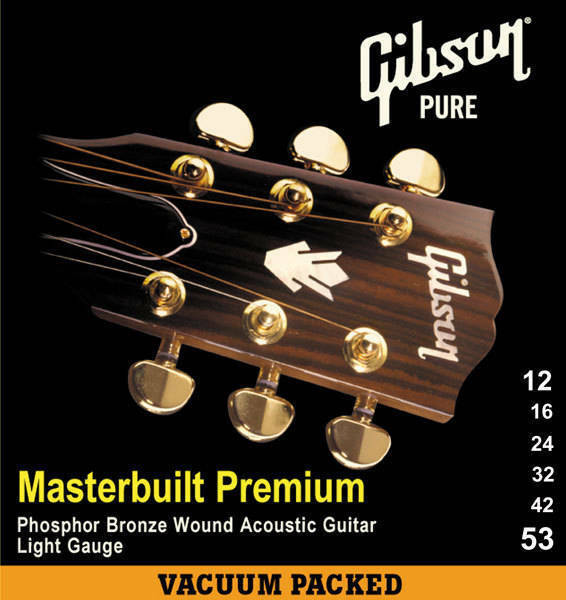 Masterbuilt strings help you pull the natural, expressive tone from your acoustic guitar. Each set is vacuum sealed for freshness and extended life.